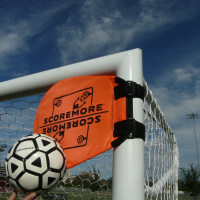 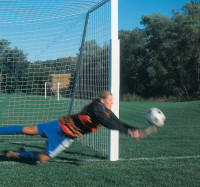 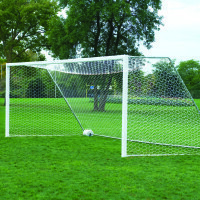 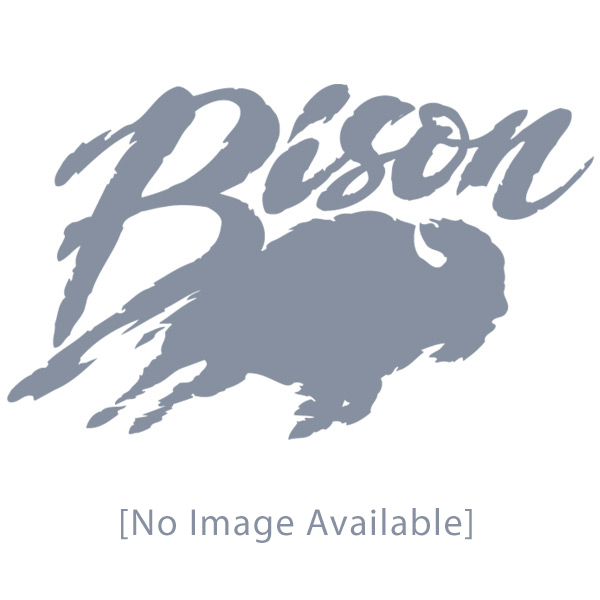 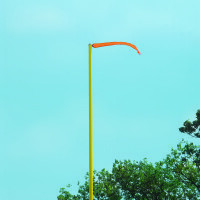 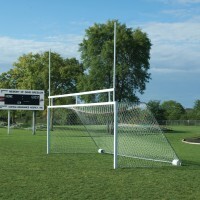 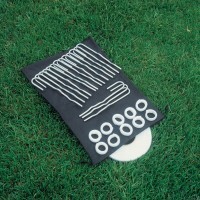 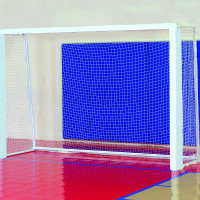 Combo Soccer/Football In-Ground Aluminum Goals - Bison, Inc. 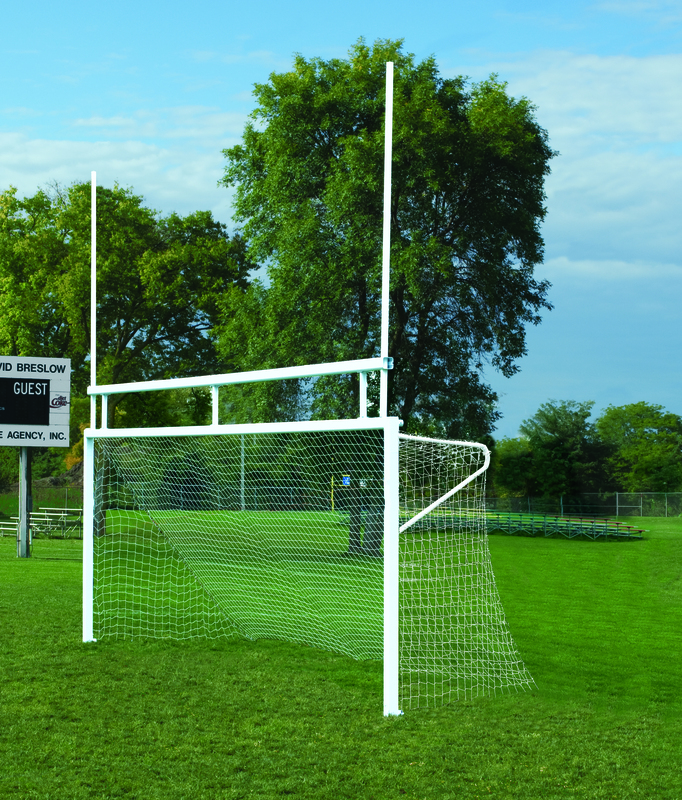 When soccer and football teams share space…Combo Goals are the answer • Constructed of weatherproof 4″ square aluminum extrusions • Nets attach with popular Bison exclusive QwikTrack system • 4″ square upright and crossbar extrusions have large corner radii for superior player safety and have a bright white, textured powder coated finish • Official 24′ (w) x 8′ (h) soccer goals and official 10′ high football crossbar and 10′ uprights that can be installed either at 23′ 4″ high school width or 18′ 6″ college width • Order FB10EXT-WT to extend uprights from 10′ to 20′ height • In-ground permanent/semi permanent combo goals install permanently in concrete footings or install using optional SC44S ground sleeves to allow easy removal • Includes European Style backstays, competition nets and net storage bags. 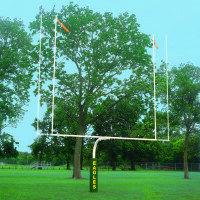 • Five-year limited warranties • Sold in pairs.